We are a full-service electrical contracting company with a focus on energy efficiency, mainly solar installations. We do not have investors or shareholders, so we have implemented the business model of passing the savings on to our customers. 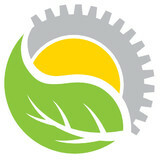 We want to build quality solar systems and provide quality electrical services to our neighbors. We work with our customers to ensure they are satisfied with the progress of their project. We pride ourselves in transparency and customer service. We are always available to answer questions and provide advice throughout the duration of your project. Please contact us today for a free electrical or solar energy consultation. We would love the opportunity to help you start saving money today and to take advantage of solar incentives before they expire! The name says it all: CLASSIC. We believe in honesty, hard work and treating our customers the way we want to be treated. We have a traditional work ethic that mixes well with our knowledge of today's technology and products. We deliver a service and product that reflect our classic values of trust, fairness, quality and a neighborly attitude. Classic Electric, LLC's success is based on the owner's numerous years of experience in both commercial and residential electrical work. Remodeling is the specialty of Classic Electric, LLC and projects are completed throughout Oregon and Washington - from Medford to Seattle and from Seaside to Bend. At Square 1 Electric, Inc we are an experienced and highly-recommended contractor serving the electrical needs of residential and commercial properties from new installations to electrical maintenance, and troubleshooting. We specialize in service, repairs and installations. We appreciate our past customers, current customers, and look forward to earning your business too! We’re specialists in the service and installation of electrical systems, and have a comprehensive knowledge of new technologies, as well as systems that have been installed for years. We are a locally owned and operated company that takes pride in our honest up front pricing, as well as the 10 year warranty that we offer. We can't wait to impress you! 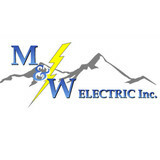 M&W Electric was started in 1990 by Mike Weaver and Dave McFarland. We at M&W Electric Inc. are experienced, well trained professionals that are committed to giving our customers quality electrical installations. The company has grown gradually since its inception by building a loyal customer base. As our reputation and volume of work has grown, we have added electricians, a full time estimator and dispatcher to our staff. Most of our electricians started as apprentices and mastered the craft through on the job training with our lead electricians and night classes at the local JATC. We at M&W Electric Inc. value our customers and employees. We treat our customers like our friends and our employees like our family. We are proud to say the quality of our work testified to by the fact that we receive much of our business by repeat customers. When we do a job we put our name and reputation on it and are committed that every customer is satisfied with our work. At M&W Electric we provide a one year parts and labor warranty (Lamps 30 Days). We will repair or replace any and all damages resulting from defects without any expense to the owner, except for ordinary wear and tear and unusual abuse or neglect. Safety is a number one concern at M&W Electric Inc for our employees and customers. M&W Electric has weekly safety handouts and monthly safety meetings for our employees. Security First Alarm is the premier provider of residential and commercial security systems. Choose between a variety of different security systems that best fit your needs. At Pro-Tech Power, we are an experienced and highly-recommended contractor serving the electrical needs of residential and commercial properties from new installations to electrical maintenance, and troubleshooting. With our service department we can fix anything from a loose outlet up to a full-on service upgrade. Our residential team handles new wires, remodels, and additions. We have a fully staffed commercial team that can take your project from its inception, through the final installation of the last wall plate! We appreciate our past customers, current customers, and look forward to earning your business in the future. We’re specialists in the service and installation of electrical systems, and have a comprehensive knowledge of new home technologies, as well as systems that have been installed for years. We are a locally owned and operated company that takes pride in our honest up-front pricing. We make sure and do it right the first time, clean up after ourselves, make sure our work looks good and that everything works before we leave a project. It’s the small things that make a big difference for any size project. At Square 1 Electric we are an experienced and highly-recommended contractor serving the electrical needs of residential and commercial properties from new installations to electrical maintenance, and troubleshooting.. We specialize in service repairs, installations. We appreciate our past customers, current customers and look forward to earning your business too!! We’re specialists in the service and installation of electrical systems, and have a comprehensive knowledge of new technologies, as well as systems that have been installed for years. We are a locally owned and operated company that takes pride in our honest up front pricing, as well as the 10 year warranty that we offer. We can't wait to impress you! Bridgetown Electric is a full service electrical contractor serving the Portland Metropolitan area since 1994. We excel in residential and commercial electrical installations. The success of our business is our ability to meet the needs of our customers and our employees. Our business philosophy is to build value for our customers, suppliers and employees. We expect the quality of our workmanship to generate referrals and repeat business. All journeymen electricians are required to take twenty-four hours of training every two years to keep their licenses current. A minimum of eight hours are required to review changes in electrical code. This ensures we are on top of new methods of wiring and code requirements. We do it right the first time, clean up after ourselves, make sure our work looks good and that everything works before we leave a project. Small things that make a big difference for any size project. Wire Nutz Electrical is your family owned, full-service, local electrical shop. Proudly serving Vancouver Washington and Clark County for over a decade. Licienced, Bonded and insured We’re open 24 hours a day for your convenience. Call us anytime! Whether in your home or in your business we are always professional and courteous. You can always count on Wire Nutz for highest quality workmanship and customer service. Call us today for a free estimate! Dedicated to providing quality and professional services to meet the needs of our commercial and residential customers since 1996. If you're looking for high quality and personal service, you've come to the right place. At A&J Electric we'll give you the attention and personal service you'll come to expect and enjoy. We can help you with both your residential and commercial electrical needs. We specialize in new construction, addtions, remodels and service work. Our rates are competitive. Our employees are friendly and will be there to help you every step of the way. A&J Electric has been serving Washington County and surrounding areas for over 40 years. Let us put our experience to work for you. What do licensed West Linn electricians do? An electrical contractor plans, installs and repairs wiring in structures. He or she works closely with the home’s general contractor or remodeling contractor to determine the specific electrical needs for the project and to ensure that the wiring will meet West Linn, OR building codes. An electrical contractor’s job also includes installing and repairing fixtures, switches and other visible components of electrical systems. With today’s technological needs and advances, many electricians in West Linn, OR also are trained to install fiber optic and coaxial cables for electronic equipment. Certain electrical companies may design and install data systems and wire for security features such as alarms too. Some West Linn electrical contractors specialize in specific areas, such as HVAC, low-voltage appliances and systems and more, so be sure to ask about their training to see if it fits your project needs. Find a certified West Linn electrician on Houzz. Narrow your search in the Professionals section of the website to West Linn, OR electrical contractors. Here are some related professionals and vendors to complement the work of electricians: Lighting Showrooms & Sales, General Contractors, Solar Energy Contractors, Heating & Cooling Sales & Repair.